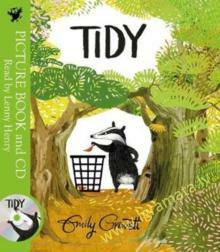 Winner of the Independent Bookshop Week Picture Book Award 2017A book and CD version of the brilliantly funny rhyming woodland story about the perils of being too tidy - read by comedian and actor Lenny Henry. 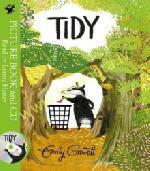 Pete the badger likes everything to be neat and tidy at all times, but what starts as the collecting of one fallen leaf escalates and ends with the complete destruction of the forest! Will Pete realize the error of his ways and set things right?Lush foliage and delightful characters abound in this cautionary tale that delivers its message of environmental preservation with subtlety and humour. The freshness of the illustrations and the many comic details make Tidy a very special book. It even has a die-cut cover and flaps. Once you enter this forest, you'll never want to leave. Emily Gravett's engaging woodland creatures will appeal to fans of such classics as The Animals of Farthing Wood and The Wind in the Willows. Lenny Henry is the perfect reader for this funny, jaunty story.